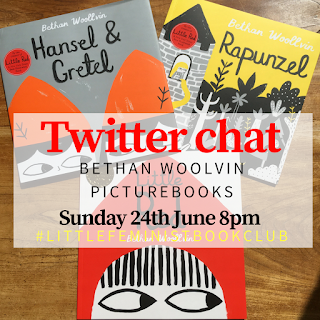 One of the wonderful things that I have discovered when starting the little feminist book club is that there are so many fantastic and inspiring women out there that I know very little about and BookBairn and I are getting to explore these incredible role models together. The series that I love the most for this is the 'Little People Big Dreams' series from Lincoln Children's books. There are eleven currently available in the UK: Ada Lovelace, Agatha Christie, Amelia Earhart, Audrey Hepburn, Coco Chanel, Ella Fitzgerald, Emmeline Pankhurst, Frida Kahlo, Marie Curie, Maya Angelou (which we are still to add to our collection) and Rosa Parks. And there are more wonderful women set to join the series! Jane Austen, Georgia O'Kefffe and Harriet Tubman titles are released next week and other wonderful women: Josephine Baker, Simone de Beauvoir, LM Montgomery, Mother Theresa, Anne Frank and Jane Goodall planned for later this year. 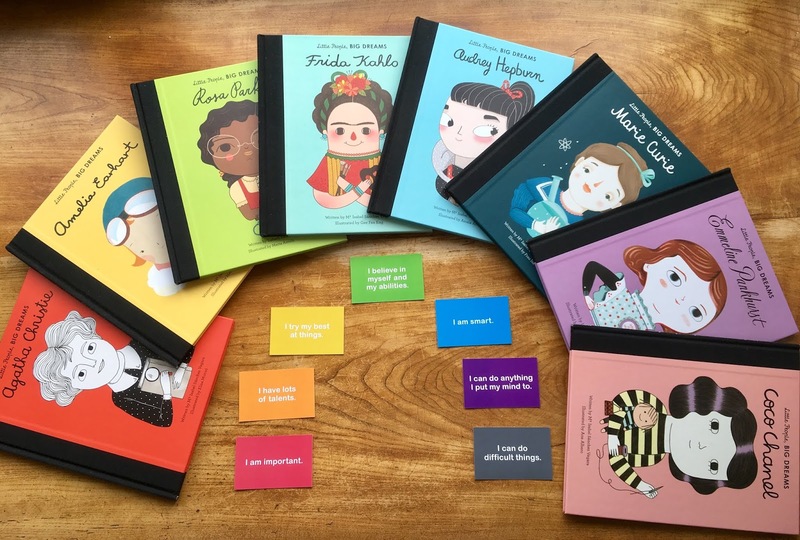 You will also be able to collect box set editions with the historical figures collated into artists and scientists as well as paper doll play sets and board books so that even the youngest readers can join in the fun! Why has this series gone from strength to strength? Firstly, it's riding a tide of fantastic emphasis on sharing these wonderful role models as 'feminist kidlit' becomes it's very own genre, addressing the gap of strong female characters in children's books that is historically entrenched in the publishing industry. And publishers have realised this and their response has been a great flooding of books with strong female characters as well as biographies telling the stories of women whose lives, experience and expertise have influenced and changed perception of traditional gender roles and stereotypes. But this series has perhaps, for me, been the best answer to the question: where are the books about strong women? 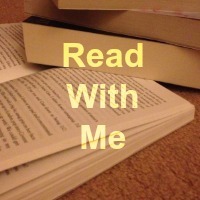 Because it's aimed at our youngest readers. So many of the anthologies and books spreading the word about feminist role models are aimed at upper primary school and high school aged children, and adults. But the Little People Big Dreams books are for our little girls (and boys). 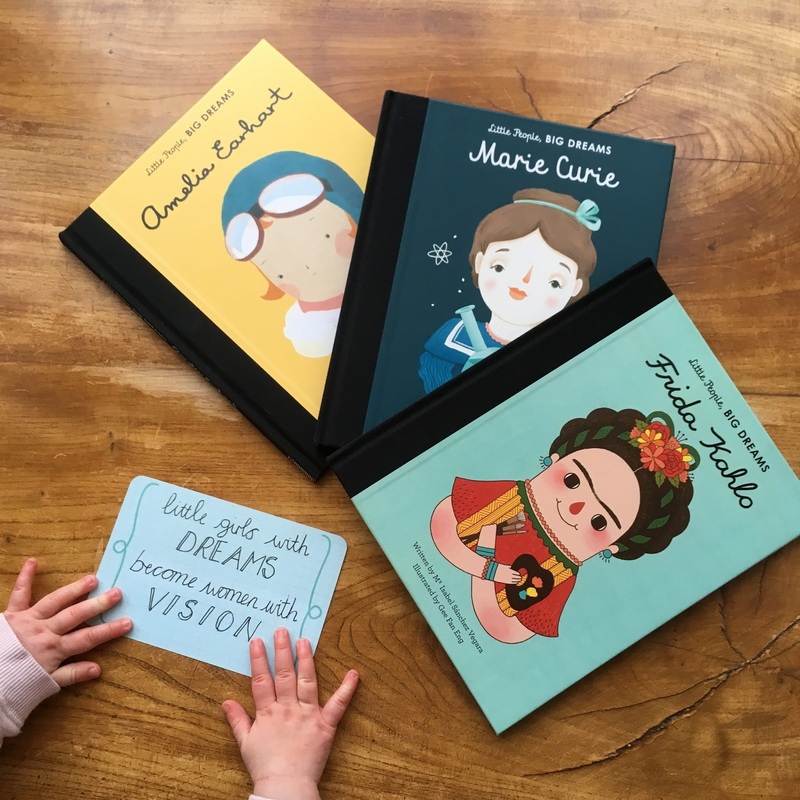 All the stories are written in short concise sentences making them easy for little readers like BookBairn to follow and are not at all overwhelming as some books in this new genre of 'feminist picture books' for very young readers. They would also make great early-readers for children who are ready to tackle reading some more challenging vocabulary. Each book also features a timeline with a more detailed biography giving you even more information as well as a final page that includes suggestions for further reading. The majority of the books are written by Isabel Sanchez Vegara (with some others by Lisbeth Kaiser) who clearly knows the importance of telling a story simply for younger children but also the power of not patronising them. She has found the perfect balance to tell these women's stories in a approachable, entertaining and true way. The series also celebrates a wide variety of artists: as this series has expanded so have the number of illustrations. Most are bold and colourful and all are wonderfully engaging and I love that the illustrations of the mighty women never cross the line into becoming caricatures. They remain true to the women they represent and are beautiful. Basically, this is my favourite example of 'feminist kidlit' because it is well thought out, each word carefully considered, each illustration a work of art, and there is such variety that there is a role model for every girl (and boy). If you are going to have a Little Feminist Book Shelf in your home - like we do - then you really should have some of these brilliant books on it! Once you start collecting these you won't want to stop until you have them all! 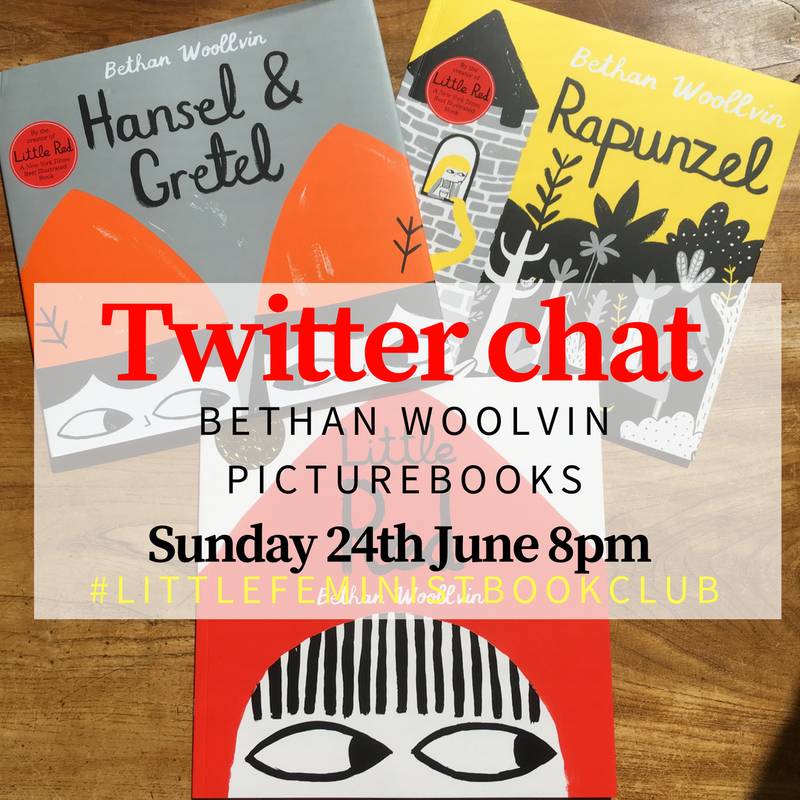 In June we will be reading books the fairytale series from Bethan Woolvin - Little Red, Rapunzel and Hansel & Gretel! One of our new favourite series of books! Disclaimer: we have very kindly been sent the majority of these books from the publishers as they were released. Some were sent at our request and others were a delightful surprise in the post! Words and opinions, are as always our own! What a great set of books and may BookBairn have many big dreams like these women. I can tell I'm going to buy them all! We have some of these in our school library, they are beautiful books and great to see some books about inspiring women that are accessible for younger children. 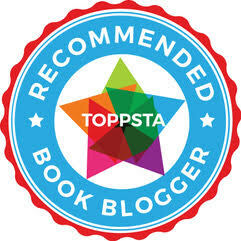 Perfect books for school libraries - all schools should have them!